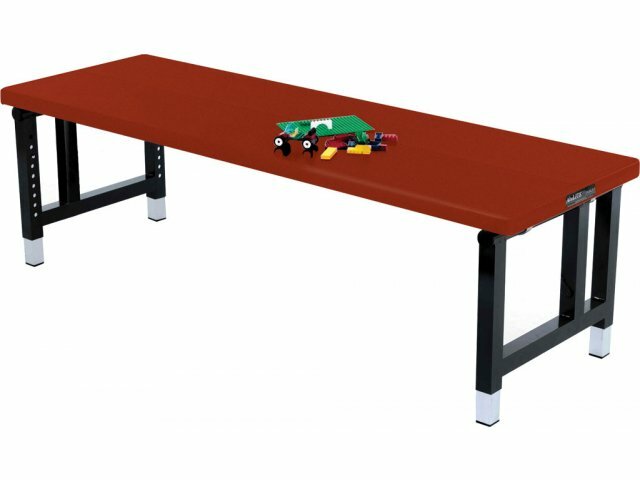 Adjustable Colored Aluminum Folding Table 96x30"
An aluminum folding table can be superior to a traditional wooden table in that it won't dent, warp, or rust. 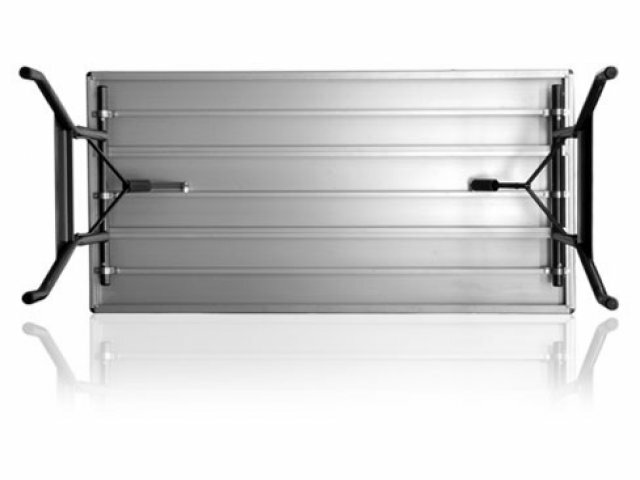 It also has an element of flexibility since it can be used inside or outdoors. 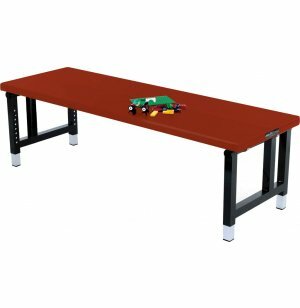 This table is the perfect size for when you need a place for 8 to 10 youngsters and want a table that looks cheerful and compelling to young people, yet is built with the same attention to long life and durability as more traditional folding tables. The height on this table is adjustable so whether you need it low to the ground (16 inches) for younger children or a bit higher (24 inches), this aluminum folding table makes sense. The surface of this folding table is available in a wide variety of colors that give it educational appropriateness. The table also is known for durability. It can hold up to 4,000 pounds on its surface.